Some of you might feel it more than others - but autumn is just around the corner! 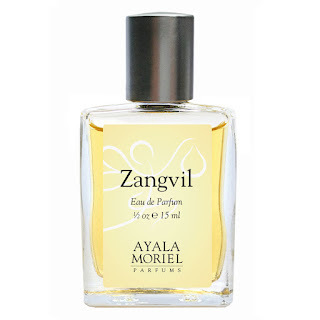 Victoria Jent claims Zangvil is the perfect scent for this time of year, and I won't argue with her "eaupinion"! "Zangvil is a gourmand. In fact, it’s so gourmand that there’s is a matching tea from the brand. However, I think of it as the sort of gourmand that even a gourmand hater would like. The fresh citrus, ginger and florals balance the sweetness. It really is perfect for this time of year. It’s like “layering”. It can transition to warmer days to those cooler nights that need a sweater." Visit EauMG to read the full story.